Small keyboard size, BIG keyboard functionality. Plus, by retaining the standard desktop pattern, we�re not forcing you to learn something new. This makes it much easier � especially if you still use larger keyboards, and need to switch back and forth. We've even included an extra fn key for the right hand, so you can perform these functions one-handed. This is almost as fast and convenient as the dedicated nav keys of the PC version. 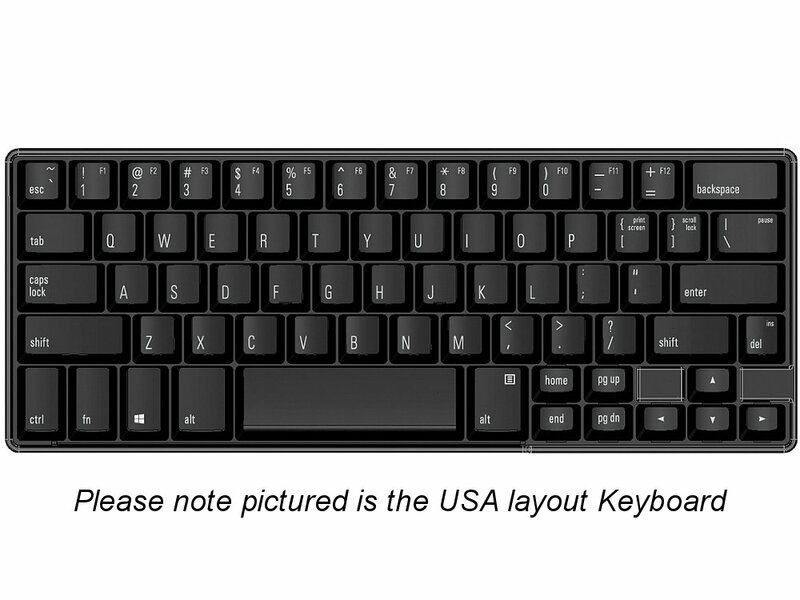 Finally, please note that both keyboard layouts can be set to either PC or Mac, via a DIP switch setting � so you are free to purchase whichever model you prefer. Perfect size for travel or simply to free up extra space on your desk. Using your mouse is more comfortable � because you don�t have to reach as far. If you loathe your laptop�s built-in keyboard, this one will easily fit in your laptop bag, so you can take it with you, anywhere you like.